Contact Taxi counter, Level 1 – Ground Level, near entrances 3, 4, 7 and 8. Receive a ticket from a taxi queue machine, proceed to the lane number printed on your ticket. Taxi fare: metered taxi fare plus 50 Baht airport surcharge, and expressway fees. 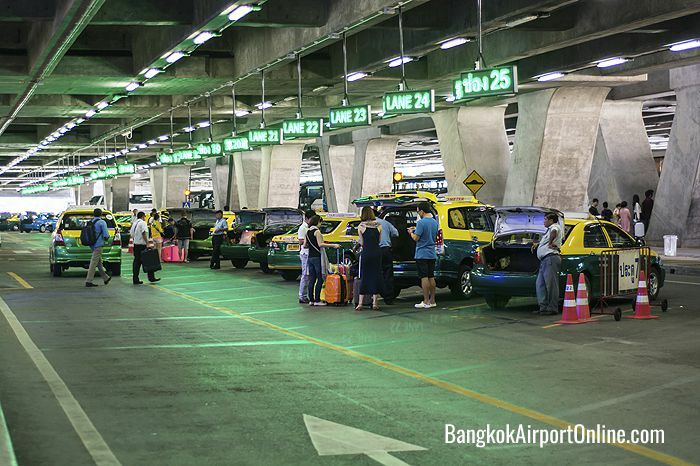 Public taxis serving Bangkok’s Suvarnabhumi airport must be less than 5 years old. 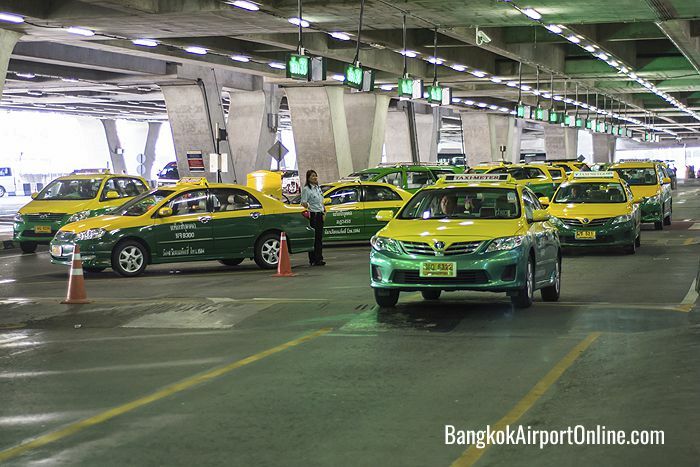 Public taxi drivers must be certified by Airports of Thailand. Passenger drop off at Departures (level 4 – outer curb).